The Quinnipiac Bobcats placed two commits on the 2018 NHL Central Scouting mid-term rankings that were released on January 22. 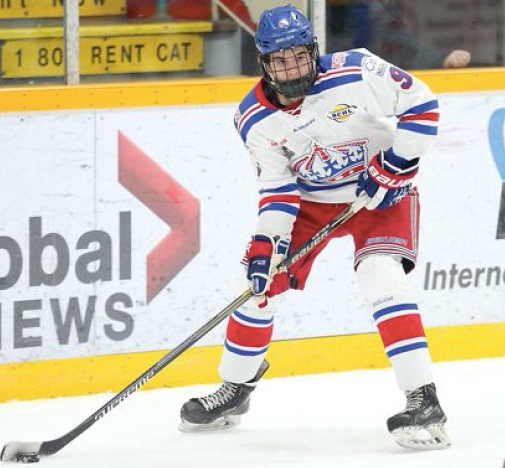 Salisbury School defenseman Peter Diliberatore came in at number 111 on the North American rankings while Prince George Spruce Kings (BCHL) forward Ethan De Jong was number 154 on the list. Diliberatore in his first draft eligible year is a quick puck moving defenseman with offensive upside. He is a good skater who can push the pace and carry the puck through the zone. 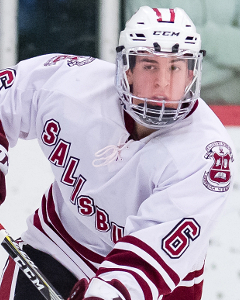 The Bedford, Nova Scotia, Canada native is in his second season at Salisbury after playing major midget hockey back in Nova Scotia. He signed his national letter of intent in the early signing period back in November and his USHL rights are held by the Central Illinois Flying Aces. He is expected to play one season of junior hockey. De Jong, a native of North Vancouver, British Columbia, Canada is the leading scorer for the Spruce Kings with 45 points (15 goals, 30 goals) in 39 games played. In his second season draft eligibility he was a member of the Canada West team that won the gold medal at the 2017 World Junior A Challenge. De Jong signed his national letter of intent with Quinnipiac and will be part of the 2018-2019 recruiting class.